One of the biggest problems I have in my freelance career is selling myself. First of all, I have a problem with impostor syndrome. But the other issue is that I’m unsure of how to talk myself up without sounding like an arrogant braggart. No one likes a braggart, but, at the same time, when you’re trying to advance in your career, you are often required to toot your own horn. You need to show that you are a valuable addition to the team. It’s especially important to be able to show your value when you are asking for a pay raise. If you want to sell yourself, you need to be ready to say good things about what you’ve done. At the same time, though, you need to be able to temper your recital so that you don’t come across as arrogant. Rather than talking about yourself in a subjective manner, such as telling someone that you are the “best” at what you do, offer concrete examples of successes. In my case, I can point to high-profile publications that I’ve written for to demonstrate my experience and skill as a freelancer. If you are a salesperson, your numbers are important. You can show how much revenue you’ve brought to the company. Consider your career accomplishments and how you can quantify them in a way that sounds like you are simply stating basic facts, rather than bragging about how awesome you are. Point out that you worked on a large project that received a great response. Point to a successful campaign you managed that brought in thousands of extra pageviews for a client’s website. Whenever possible, show numbers and concrete examples. This makes you appear more objective, and provides hard data for a decision-maker to consider. Recently, during a conversation I was having online about a job opportunity, my business partner saw that I was back-pedaling and not selling myself at all. I was worried about sounding arrogant and over-selling myself. He jumped in and made a few comments about the quality of my work, and where I appear. Sometimes, it works better to have someone else speak up on your behalf. 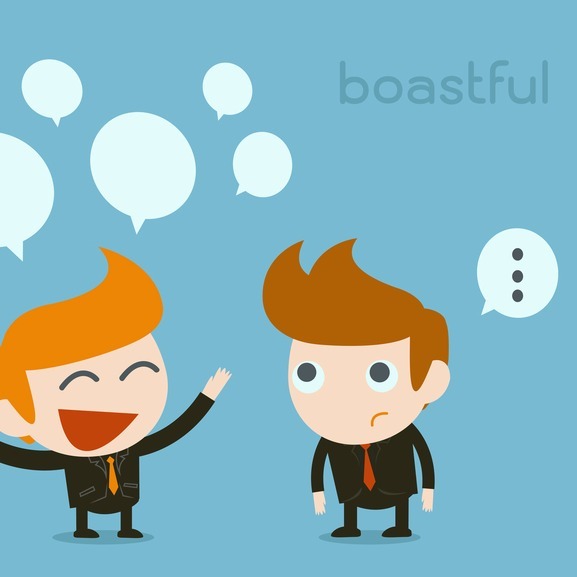 If a co-worker compliments you on how helpful you were with a certain project, you can ask them to email the boss. When a client is satisfied with the work you’ve done, ask if they would be willing to provide a written testimonial that you can publish or include with your promotional materials. Getting someone else to sing your praises not only allows you to be a little more modest about your accomplishments, but it is really attention-grabbing when you can show that others are so satisfied with you that they will go out of their way to express that satisfaction. With the right approach, you can prove your value without sounding like you’re bragging. And that’s something you can usually take to the bank. How do you feel about selling yourself? Leave a comment! Ooooh I like the part about using concrete examples. Just sticking to the facts would be great also since they are quick to write and really convincing since they are… well… facts! I’ll have to remember this article.